Thanks LRM for this thread - very timely! okosh, shipdit, Bestbud and 1 others like this. I've said it before, but kudos to the Daily Mirror for continuing to expose these people. path2prosperity, shipdit, ribshaw and 1 others like this. 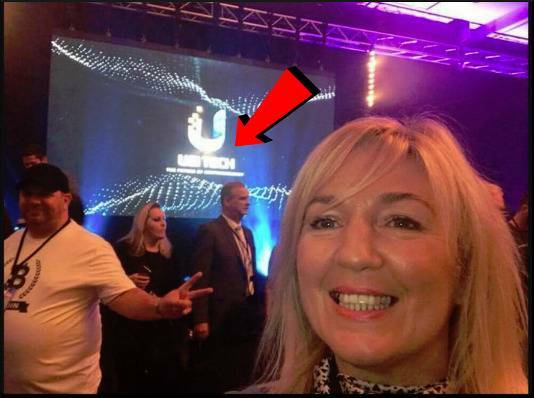 And with Mark "The Gerbil" Ghobril only last November, so in the days of Usi-tech! AMAZING how all these people seem to know each other, isn't it? A lovely family album, you might say! path2prosperity, shipdit, ribshaw and 2 others like this. And who could forget Shazza's closeness to Charles Scoville and the elusive Immy Aslam? As recently as 2015. Even went over to Utah, with some mates, for his first court appearance. What are friends for, after all?? shipdit, ribshaw, Bestbud and 1 others like this. SCAMron James is back raging in the comments. Fuuny, funny stuff. Arseface is filling her xxl size depends for women. shipdit, surfer, Della Cate and 3 others like this. "the owner seems really confident and even promises this one won't be going anywhere"
Soapboxmom, shipdit, surfer and 4 others like this. The steaming pile of ponzi poo is back raging in the comments. shipdit, Della Cate, ribshaw and 1 others like this. shipdit, Della Cate, Fat City, LA and 2 others like this. And it's well worth subbing to The Ponzi Show channel. Best thing I've seen in ages. Soapboxmom, shipdit, ribshaw and 2 others like this. shipdit, Fat City, LA, ribshaw and 2 others like this. "Misty watercolour memories.....Of the way we were......Scattered pictures.....Of the smiles we left behind...."
shipdit, ribshaw and Bestbud like this. Soapboxmom, littleroundman, shipdit and 2 others like this. That thick skins really starting to show now. Looks like she's gearing up for the next punt too. Soapboxmom, shipdit, Della Cate and 2 others like this. shipdit, Della Cate, Bestbud and 1 others like this. Why do these pimps all like their own posts? In Sharon James' case, there are not enough true believers left to do it for her. non existent after her recent very public exposure. I believe that can be called a Freudian slip. Soapboxmom, shipdit, Della Cate and 3 others like this. That photo....SCAMron James is looking disturbingly like Empower Network crackpot David Wood these days. shipdit and Bestbud like this. Soapboxmom, littleroundman, shipdit and 4 others like this. Last edited by Daveyw; 05-15-2018 at 03:23 PM. Filmed at the Mallorca shindig and posted 7th October 2017. 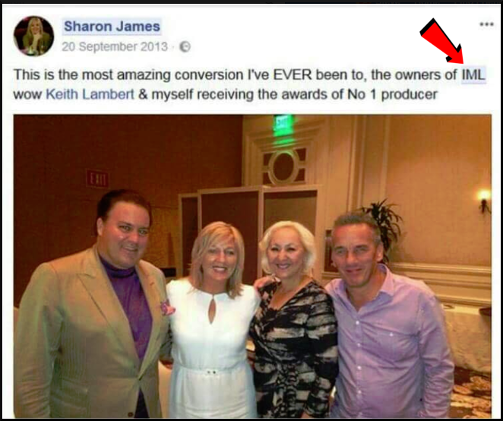 The UK's most notorious female Ponzi Pimp Sharon James is no longer hiding under the rock of shame induced by The Mirror's February 2018 article exposing her pursuit of profits by enticing suckers into the fraudulent USI-Tech Ponzi scheme. 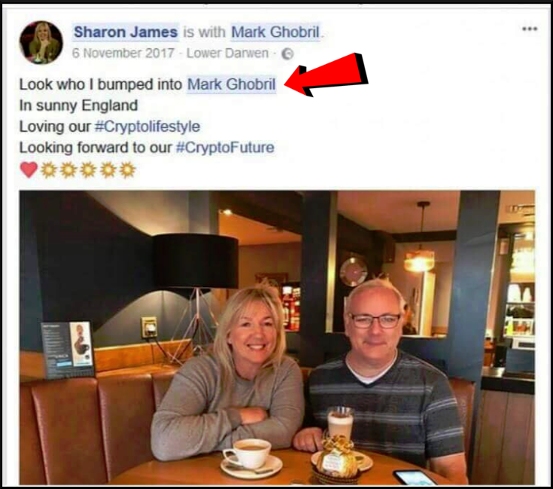 The DistinctionOnline Facebook Group that she is trying to steer her victims to has six likes, eight people following and nine total posts since opening October tenth. Maybe the suckers are catching on. Soapboxmom, Della Cate, ribshaw and 2 others like this.